Wrinkle control, regenerating night rich cream for all skin types. The night care that visibly firms and reduces the look of wrinkles while you sleep. Clarins firming innovation : kangaroo flower extract helps visibly fight skin slackening and leaves skin looking plump, helping to reinforce the skin's youthfulness. Visibly firms all night long, skin appears regenerated : this night cream is enriched with extract of hydrated silica of moonstone for skin that looks visibly younger-looking and more beautiful by morning. Less visible wrinkles : mitracarpus extract helps to visibly improve the skin's elasticity and firmness and helps reduce the look of wrinkles. An even complexion thanks to desert date extract. 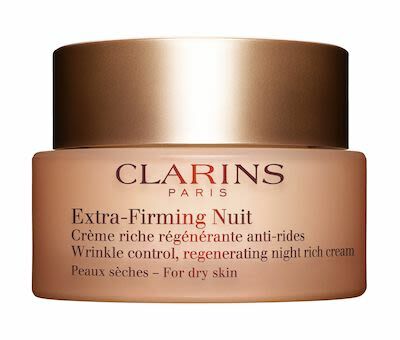 Intensively nourishes.Clarins anti-pollution complex.